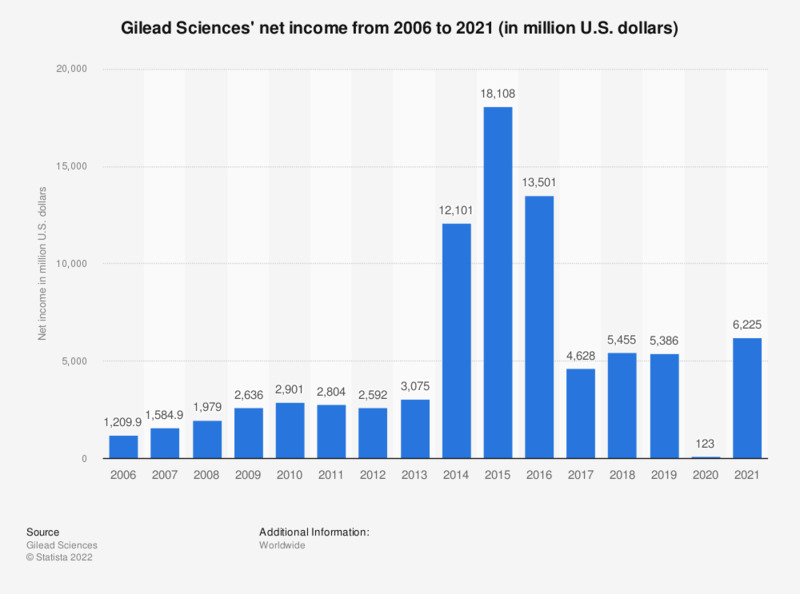 This statistic shows the net income of biotech company Gilead Sciences between 2006 and 2018. Gilead Sciences Inc. is a company that discovers, develops and commercializes therapeutics. In 2016, Gilead Sciences' net income came to around 13.5 billion U.S. dollars.